Steadfast now provides Buckeye and Kitchen Mister Brand Fire. Check out our brochure by clicking the Buckeye logo! 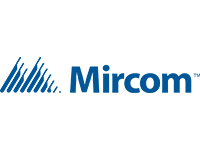 We would like to introduce to you our company, employees and our products and services. Our offering includes all aspects of your fire safety equipment needs, from engineering, design, supply, installation and follow up service and repairs. Want to protect your assets or occupants of a building from fire hazards? 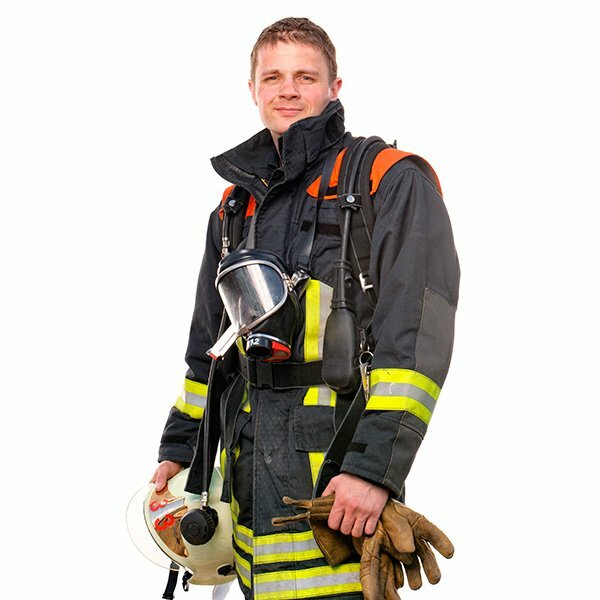 Hire Steadfast Safety Services to provide our invaluable fire protection service. We help secure homes and businesses against fire risks by utilizing our skill, state of the art technology and advanced fire suppression systems. We handle all aspects of fire protection from designing a reliable system to supplying all the necessary tools and ensuring the system is properly installed and maintained. Our goal is to keep you safe and well informed. We have offered Toronto’s businesses and homes with leading fire suppression equipment. We come with more than 30 years of experience in the industry. We will quickly review your fire safety needs and come up with protection systems that address your topmost concerns. You never have to worry about a fire breaking out when our systems have been put in place. We’ll analyze all possibilities of a fire breaking out and take suitable steps to protect your people and assets from fire damage. There is no task that is too big or too small for us to handle. An uncontrolled fire is an experience that no family or business should have to go through. Approximately 24,000 fires happen around Canada each year, causing serious injury and damage, and sometimes even taking precious lives. 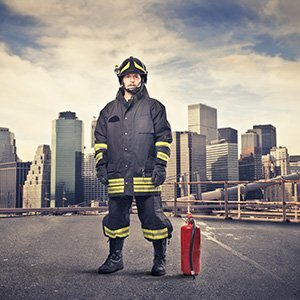 At Steadfast Safety Services, we have made it our mission to provide fire protection in Toronto to prevent and reduce the damages caused by fires. Providing prevention, monitoring, and response training, we are dedicated to finding and providing solutions for keeping you safe from fire. Having fire alarms, extinguishers, and other fire safety devices do you little good if they are not functioning properly. Steadfast provides fire inspection services to ensure everything is in top working order. We not only inspect fire alarms and fire extinguishers, but also emergency lighting systems, dry chemical fire suppression systems, and much more. 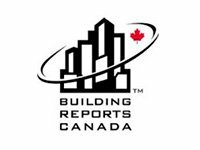 We also generate, store, and organize required fire inspection reports, making it easier for you to satisfy all building regulations. Ideally, fires are prevented, but accidents do happen. If a fire does start, the best way to limit the damage and protect against injuries and deaths, is to have a strong early detection system. At Steadfast, we install and maintain fire alarms in Toronto, making it possible for individuals to get out of homes and businesses at the first sign of a fire. To ensure your safety, we provide many fire alarm services, including testing, maintaining, and regularly monitoring the device per the manufacturer's instructions. When a fire starts in an unattended area, obviously there is no one to stop the spread with a fire extinguisher. Our team installs sprinkler systems that provide an extra line of defense, regardless of whether or not individuals are present when a fire starts. With vast experience in this industry, we are happy to recommend and install a top of the line sprinkler system that best matches your building and your needs. We can also help you understand how the system works and return for follow-up inspections and maintenance. A fire extinguisher is a very important tool to have, as it provides a way to stop small fires before they are able to spread. We provide fire extinguishers in Toronto, and also provide maintenance and training services. Fortunately, most people do not have to use their fire extinguishers. The bad news is that this means that if the time comes that fire extinguishers and fire hoses are needed, the device may no longer be charged and/or people do not know how to use it properly. Our team can regularly inspect, recharge, and test your extinguishers in Toronto, while also providing informative training. In the event of a fire, everyone in the building needs to be able to leave quickly, safely, and efficiently. Especially in larger commercial buildings, emergency lighting is crucial. These lights are used to illuminate emergency exit signs, directions, and exit pathways. Steadfast provides many emergency lighting services including regular inspections, testing, replacement of bulbs, and more. Fire extinguishers are effective at stopping fires approximately 95% of the time. While these important safety devices are easy to operate, receiving proper training is worthwhile. 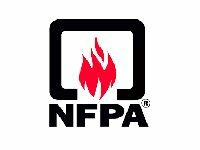 We provide homeowners and businesses with the fire extinguisher training they need. During these demonstrative lessons, we make sure everyone not only knows the proper way to use a fire extinguisher and fire hose, but also other essential safety information. For example, there are certain types of fires that make using a fire extinguisher dangerous due to the chemicals that are released into the air. Our short and effective training services allow you to know when and how to use an extinguisher. In the event that a fire does spread enough to cause bodily harm, the extent and severity of the injuries can be lessened with the help of a first aid kit. In the very least, a first aid kit should be on hand that contains materials needed to keep burn wounds clean and clear of infection. At Steadfast Safety Services, we provide first aid kits that include these items, as well as bandages, gloves, gauze, and other useful supplies. We can also provide items such as fire blankets or eyewash stations, depending on the needs of the property. Our team can also provide training to ensure that you and your employees know how to use these items. Steadfast offers engineering and design fire protection services to integrate safety measures into the very structure of your building. This includes everything from incorporating sprinkler systems and fire alarms in necessary frequencies to designing emergency lighting, dry chemical, kitchen suppression, and carbon dioxide systems. Our experts have many years of experience and training in the operation and maintenance of these systems. We can also help you meet necessary fire protection requirements for the government and for insurance companies. In addition to installing and repairing fire safety systems, we also offer alarm monitoring. From our monitoring station, we provide 24/7 coverage for all of your safety systems, from fire alarms to sprinkler systems to dry chemical alarm systems. In addition to ensuring that these systems are functioning normally, we also monitor for factors such as significant temperature drops that could cause your sprinkler system and pipes to freeze and burst. If you do need to use your fire extinguisher, and it is now nearly or completely empty, what are you to do with the canister? Extinguishers contain chemicals that require special disposal. You can contact Steadfast Safety Services for help with fire protection recycling. We can ensure that your extinguisher is reused, recycled, or disposed of in the appropriate manner. We understand that implementing the best fire safety measures is a daunting task. Contact Steadfast Safety Services to learn more about fire protection in Toronto and to request a quote. Our team is ready and waiting to help you with every phase of this process. At Steadfast Safety Services, we provide a complete package of inspection, maintenance, testing and repair of fire extinguishers. A fire extinguisher or fire hose can act as the first line of defense when a fire breaks out. You need durable and efficient fire extinguishers to protect your assets and save lives during a fire emergency. We have experience working on different kinds of fire extinguishers and will make sure the ones you have in your home or business are in good condition. A fire extinguisher in good working order can help to minimize property damage and losses during a fire. Steadfast Safety Services will ensure that your fire extinguishers are ready to cope with any fire emergency you may encounter. We have a wide range of hoses and extinguishers that not only last long but are also inspected every year to ensure they will work as expected when required. We have a highly experienced and trained team of fire specialists who are ready to help you select the right fire extinguishers or make sure those you have are functioning as expected. 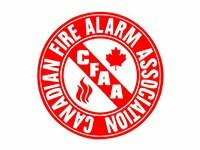 What Can an Ontario Fire Alarm Company do for You? At Steadfast Safety Services, we help to ensure that your fire sprinkler system technology is reliable always. Having a fire sprinkler system in your home or business provides an added protection. Once a fire sprinkler system is installed, it is very important to ensure that it is properly serviced and repaired when necessary. We provide this service to save thousands of businesses and homes from the devastating effects that a fire can result to. Our technicians provide a very timely and honest inspection service which makes us a top choice for anything fire related in Toronto. Whether you want a new fire sprinkler system installed in your building or a specialist to service/repair your current system, Steadfast Safety Services can help. We will help you choose a fire sprinkler technology that works for your needs and budget. Our fire specialists have experience performing inspections and repairs on some of the latest fire sprinkler systems in Toronto. 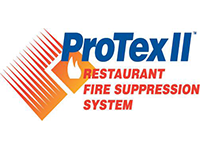 We are a Single Source Fire Protection provider serving southern and central Ontario. With over 20 years experience we are prepared to handle your requirements. Great company to work with. We used to equipped our office and they were able to provide us a 5 star experience. Thank you! Very professional and knowledgeable personal. Great prices on products and super friendly people! 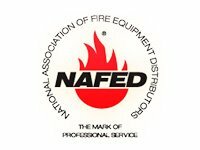 Great experience and very decent selection of fire protection products. Steadfast Safety Services has provided excellent fire protection services to the Toronto area since 1985. Let us help to keep you and your family safe.